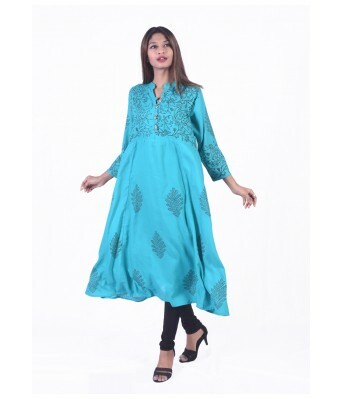 This formal cotton kurti for women?s with a decent neck style brings out your real feminine charm. 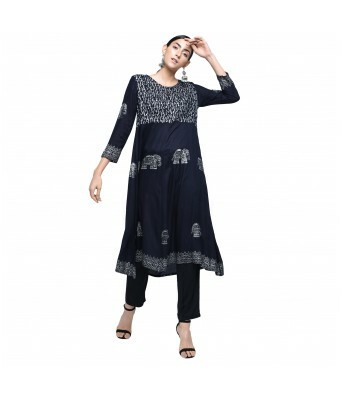 itsself-design patterns all over the front Bring out the desi Look in your fashion style. 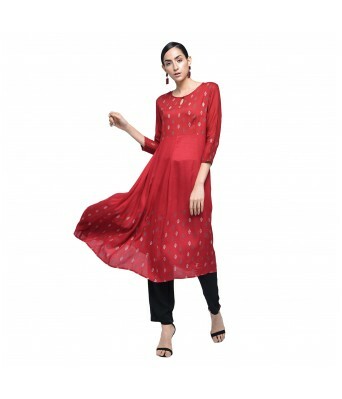 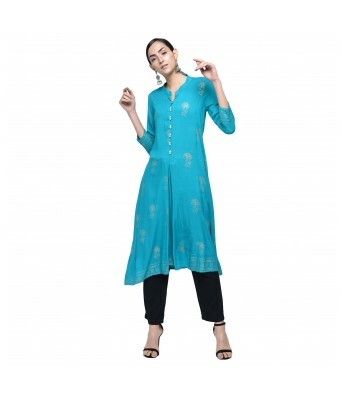 The beautiful Finishing all over the front and back contribute to the real charm of the kurti.Get ready for office or outing in this cotton straight kurti with the combination of light and dark on the front and the sleeves. 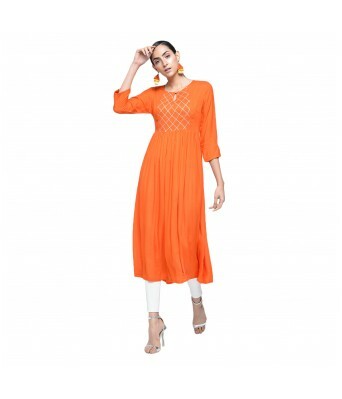 The thread with a line gives this kurti a sassy appeal.